Saint Augustine believed that nations or peoples sometimes had to be punished for threatening the natural order, for inflicting wrongs on others and disturbing peace. Paper Masters custom writes all research papers on religious figures such as Saint Augustine. Below we have illustrated the type of information that you will find in a basic research paper about Saint Augustine and the catholic church. St. Augustine has been considered a theological and philosophical genius to the Catholic Church. His entire life was devoted more to the idea of thinking than that of partaker of the realm of religion. He is also considered a forebearer of any historical Christian thought. Called the Doctor of Hippo by the Protestant religions and the Catholic Church his exceptional insights have settled many theological controversies. Augustine held both sectors of theology, Protestant and Catholicism, in high respect extolling the righteous influences of both. Augustine’s contributions to theology are documented in many of philosophical writings and more importantly in his doctrinal influences (Catholic Encyclopedia, see bibliography for citation). Augustine had the intellectual ability to translate the wisdom of the Old World teachings into viable doctrines useable by the future ages. His contact with the Roman, Latin and Oriental cultures is almost of a divine nature for it was these connections that would lead him to fulfill this enormous task. He came in contact with the various theological thoughts from these worlds also like the Manichaens and the Platonists as well as the Christian theologies. From these studies he could render his philosophical doctrines without giving obligation to either theology (The Catholic Encyclopedia, see bibliography for citation). 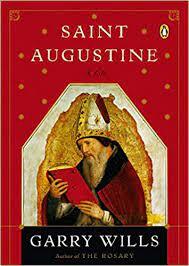 Augustine is also considered the strongest tool in advancement of theological dogma. He was insightful, original, and inventive. This all propelled the progress of Christian thinking in an age that floundered on the subtleties of philosophy. By creating and contributing to theological language, Augustine furthered the settling of religious variations in the old Christian writings. As already mentioned, St. Augustine is credited with numerous advancements and contributions to theology. Most notably is the effort of his to change the impact on dogma from the East to the West. This was a great contribution to dogma history. Until Augustine’s influences, the church was influenced by the Greek Church and its theologies being considered the traditional land of divinity. After the era of Augustine history points to the West as a primary theological influence. Elements of Augustine’s doctrinal ideas begin with a center of theological principles. He promoted progression and development in religious thinking and is credited with a clearer vision on revelation. Through all his writings and his philosophical renderings is an undeniable seal of Catholicism. Although a student of all theologies, he falls back on Catholic doctrine and can be found to oppose the Protestant ideals not in philosophical thinking but in religious context. Saint Augustine’s dominating influenced can only be attributed to his divine authority on posterity. His undeniable genius alludes to great depths of original thought and he is a distributor of future ideas. He has embraced truths that others would only have grazed and enveloped them with his entire soul for it is there that divine knowledge will flow. His ultimate message can be perceived as living a life of truth, which embodies Christianity as well as eternity (The Catholic Encyclopedia, see bibliography for citation). Augustine spent his life observing the psychological aspects of theology and assigning the necessary virtues needed to comply with a life of true Christianity. This lent him to believe that the heart was not enough to adequately trust the realm of theology. One must fell Christianity in their soul and only then will they capture the qualities that Augustine illuminates in his teachings. Saint Augustine spent the majority of his life translating doctrines that would enable not only his own contemporaries but the Christians of the future, to live according to the Catholic doctrines set forth by the teachings of the early instructors. He is credited with igniting a philosophical passion for the Catholic theology and embracing the Western influences on the practices of the Catholic Church. Life of Saint Augustine - Life of Saint Augustine essays are plagiarism free online essays that are custom written from Paper Masters. Augustine and Sextus Empiricus - Saint Augustine argued vigorously against Sextus Empiricus, and his critique is two-pronged. Augustine's City of God - Augustine's City of God research papers overview the philosophy of St. Augustine. Doctrine of Augustine - Doctrine of Augustine research papers look at the theology of Augustine's Christian beliefs and their influence on the Catholic Church. Free Will - Free Will research papers discuss how free will is a religious notion that philosophers such as Saint Augustine have written extensively about. Justice in City of God - Research papers that examine the concept of justice in Saint Augustine's City of God can be ordered custom written according your professor's requirements. Just War - Just War Research Papers look at the term and also discussing its increasing debate in politics. Roman Catholicism - Order a custom written paper on Roman Catholicism from Paper Masters. Catholic - Catholic research papers overview the Catholic Church, Catholicism and the Catholic Religion. Women in the Protestant Religion research papers examine the role of women in world religions. Paper Masters writes custom research papers on Saint Augustine and examines legitimate reasons for war and gives examples of what a just war would be.